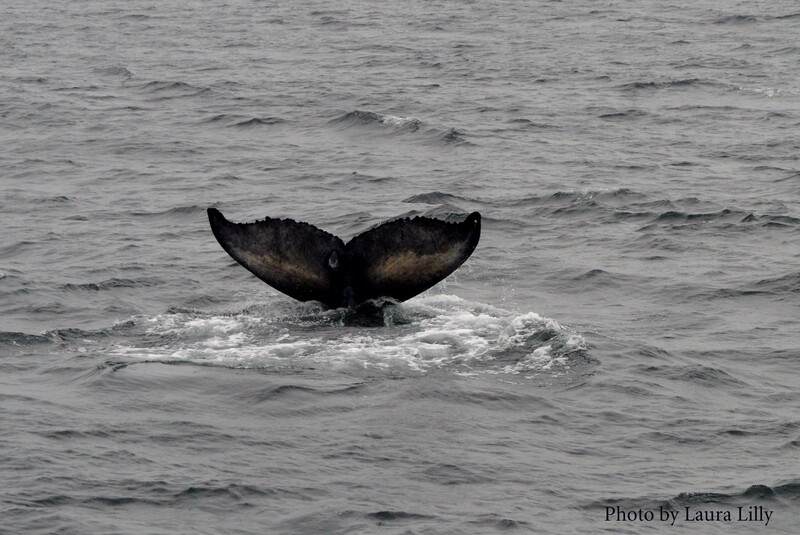 We started our trip today as we found one whale swimming slowly on Stellwagen Bank. We were able to identify this whale right away as Mogul, a regular who we have watched a number of times this season. Humpback whale Mogul goes down for a deep dive. However, just as soon as Mogul raised his fluke, we noticed another two blows nearby. We made our way over and found it to be Clipper and her calf. Clipper is a Cape Ann Whale Watch favorite and has a very unique dorsal fin, making her easy to identify. We don’t see Clipper often, but she was seen on our Sunday morning trip north of Gloucester. We got some great looks at this mom and calf pair. What is also important is a clear photo of the calf’s fluke- now we can identify this whale as Clipper 2013 Calf, and if it returns next season it will get its own name. 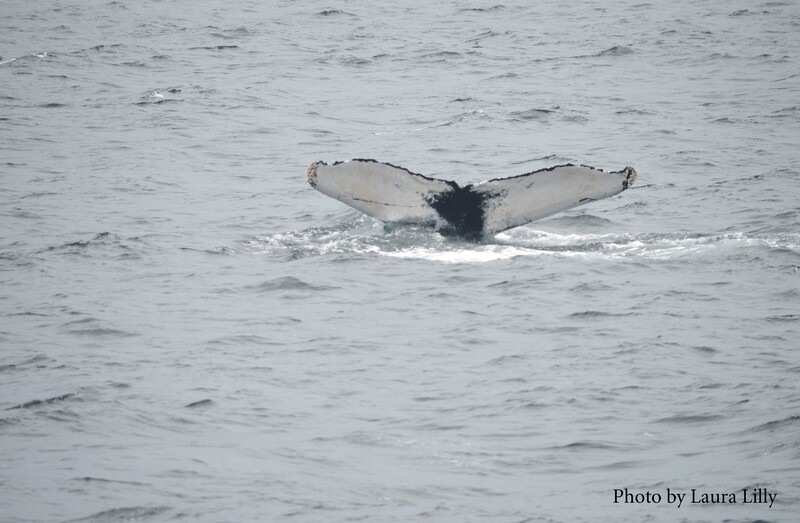 We were also treated to a tail breach by the calf, and then later the same behavior from Mogul! It was neat to see the size comparison between the two whales- a great day!